We now offer rehabilitation medicine for your canine companion. 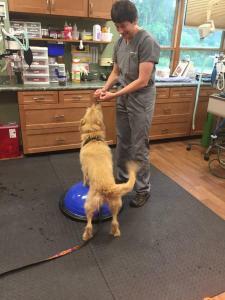 Dr. Leanne Ksiazek earned her certification as a canine rehabilitation therapist from the Canine Rehabilitation Institute. Rehab medicine is applicable to canine athletes as well as the average dog, especially geriatrics and pre/post orthopedic surgery patients. 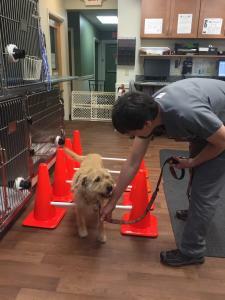 Patients are examined and evaluated as candidates for various rehab services including: cold laser therapy, joint mobilization, stretching, massage, etc…Dr. 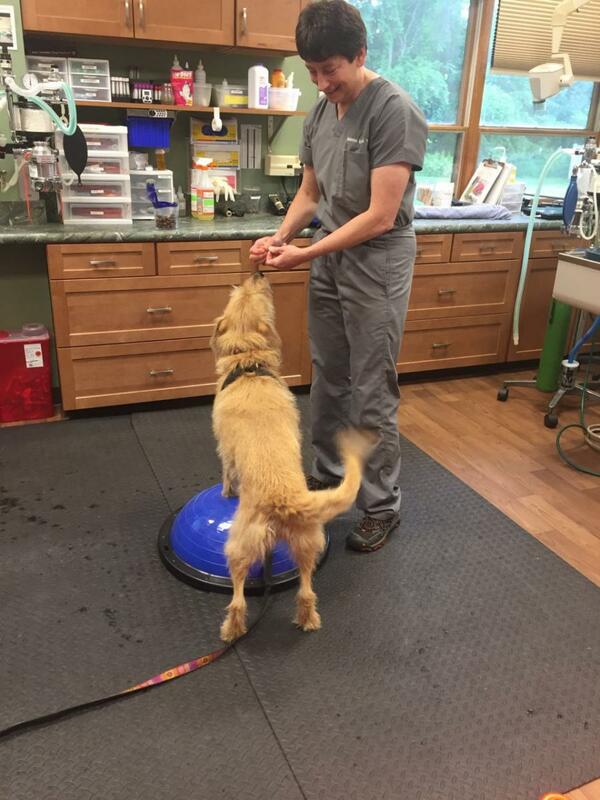 Ksiazek creates individualized treatment and therapeutic exercise programs. Combining treatments and exercise can increase mobility, enhance pain management, and aid in weight reduction/management. 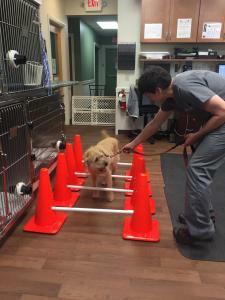 Dr. Ksiazek has a special interest in the canine athlete, as she competes in the canine sports of Agility, Rally and Obedience with her German Shepherd dogs. 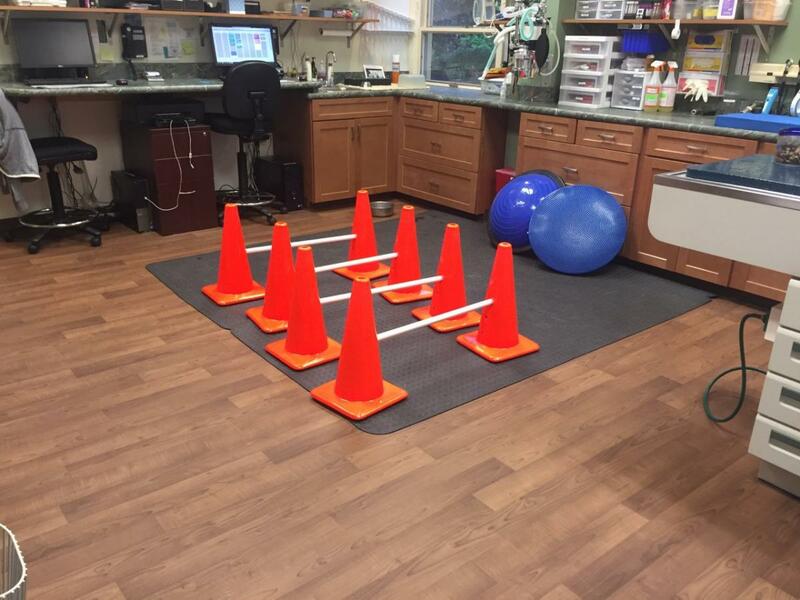 We are currently offering rehabilitation evaluations on Wednesday evenings. Please call our office to schedule an appointment.